The reason why Inuits can thrive off fish oil is because of their genes. 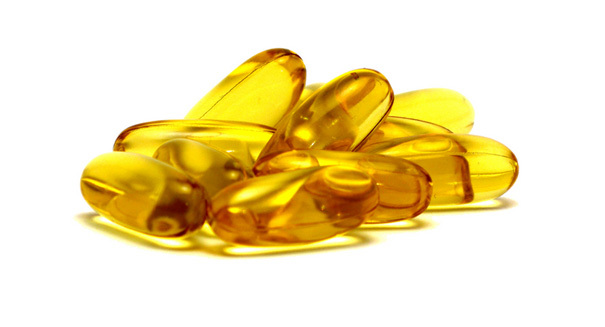 A new study published in the journal Science has found that those fish oil tablets you’ve been taking to live a healthy lifestyle don’t necessarily work very well on you. The study found that genetic mutations in Greenlandic Inuit help them counteract the negative effects from their diet that is heavy in fat from fish and marine mammals, and therefore what works for them may not work for everyone else, according to an Arctic Journal report. The study helps explain genetic diversity and how it impacts a person’s health through their diet, which could pave the way from personalizing diets based on people’s genetics. Scientists have noticed that changes in the lactase gene — a gene that enables us to consume milk — can persist into adulthood. In some individuals, a mutation will allow them to get additional nutrition from something that others can’t handle, like dairy for example. As a result, those that get genetic mutations that can efficiently digest the food that is available to them tend to survive and heavy healthier offspring, a sort of micro-Darwinism for human diets. These descendants dominate the future population. The study looked at the genetic diversity of 191 people who were of an indigenous Greenlandic Inuit ancestry, and then compared them with genomes of 60 people in Europe and 44 in East Asia. Researchers looked at genetic markers associated with heart disease and certain disorders in one particular cluster of genes that had changed a lot in Inuits compared to other populations. The team found that Inuits seemed to have mutations that resulted in their bodies producing less fatty acids, and therefore they were more able to consume huge amounts of omega-3, which is heavily found in fish and marine species, which makes up the bulk of the Greenlandic Inuit’s diet.